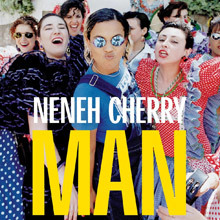 Neneh Mariann Cherry is an artist born to artists and destined to forge the good stuff, whether as a musician, singer-songwriter and rapper, club DJ, radio, personality or in-demand collaborator. True she has released a handful of albums but their influence is as far ranging as her own Swedish born life is eclectic. Neneh achieved major success with her first album Raw Like Sushi, which spawned the international smash 'Buffalo Stance', a vital slab of hip hop that made number one in America (number three in the UK) and established Cherry as a vibrant, smart, glamorous face who would become something of a globetrotting ambassador for fine and just causes while maintaining a select output of her own. Neneh was actually born in Stockholm. Her father, the Sierra Leonean drummer Amahddu Jah and Swedish mother Monika Karlsson separated when she was very young and stepfather Don Cherry, a great American jazz trumpeter, raised her. Life for the family was itinerant to say the least and they lived in various hippy style communes when Neneh was growing up, in Yorkshire, New York and London. Home life was also a groove since Neneh's half-sister Titiyo and half-brother Eagle-Eye Cherry are also names in the music business. Jazz scions abound elsewhere. Like we said – she was always likely to manage a melody. As a Londoner Neneh became actively involved in the Post Punk scene and she graced New Age Steppers, Rip Rig + Panic and Float Up CP with distinctive vocals and bags of constructive idealism. After releasing debut single proper – the anti-Falklands conflict 'Stop The War' – Cherry teamed up with The The's Matt Johnson (she duets memorably on 'Slow Train to Dawn' on the classic Infected disc) and married musician Cameron McVey who produced and helped co-write her first album Raw Like Sushi (1988). Friendships with some leading lights on the Bristol Urban scene informed the compelling beats of the disc. Massive Attack man Robert Del Naja helped construct 'Man Child' while Andrew 'DJ Mushroom' Vowles assisted on 'Kisses on the Wind' – completing a trilogy of hits with the aforementioned 'Buffalo Stance'. That track had in fact been issued before on a McVey project but when Bomb the Bass star Tim Simenon remixed it simply tore through club land and into history. The term "Buffalo" was a reference in part to the Ray Petri collective of musicians/stylists/photographers etcetera who used image as a means to an end. It was also a nod at Malcolm McLaren's 1983 track 'Buffalo Stance'. A neat sample from that and from Rock Steady 'Crew's Are You Ready' added to the urgency of the song, which became an underground anthem and saw Neneh grow into a TV regular with a personality large enough to fill all available space. That the Raw Like Sushi album also won a Brit Award only aided her cause. Immersion in the multi-media outlets of the era meant that Neneh didn't complete her second solo album until 1992, by which time she'd become part of the Bristol crew whose numbers influenced Tricky and Portishead and their distinct style and attitude rubbed off on Homebrew in no small way. A dance floor favourite this time, Homebrew delivered club favourites 'Buddy X' and 'Trout', which became a bigger hit in America once people realised it was a duet with R.E.M. 's Michael Stipe. Other memorable moments here are the opener 'Soul Sassy', featuring Guru from Gang Starr, and 'Money Love' with Jonny Dollar on guitar - he co-wrote Massive Attack's 'Unfinished Sympathy'. It all fell into the groove pocket. Now a mother, Neneh's third album, Man, assumed a more world music tinge. The most famous song here is of course '7 Seconds', which had been released two years earlier in 1996 as a single collaboration with Senegalese singer Youssou N'Dour, who croons in Wolof and French while Cherry sings in English. The track topped the French charts for 16 weeks, a record at that time. Elsewhere the trip hop element was never far off and the guest musicians were familiar. Suede's Bernard Butler adds exquisite guitar colouration to 'Woman', legendary arranger Wil Malone provides strings, as does Gavyn Wright, Tricky slides up for 'Together Now' and bro' Eagle-Eye plays piano on a superb version of Marvin Gaye's 'Trouble Man'. If that's a slim volume of solo work it's an important one. Neneh has also collaborated with her father on several occasions in various jazz projects, sang on Pulp's epic 'This Is Hardcor'e and enjoyed another number one, in the company of Eric Clapton, Chrissie Hynde and Cher, on a cover of the Judds' song 'Love Can Build A Bridge'. Add her work with sundry Swedish rap and jazz outfits to the heady mix and toss in her cookery series with Andrea Oliver (BBC 2, 2007), and don't forget she lit up Groove Armada's album Love Box, and you'll see that Neneh Cherry is a woman with grounded concerns and clear-headed talent. Reacquaintance with her three solo albums is a pleasure for all. 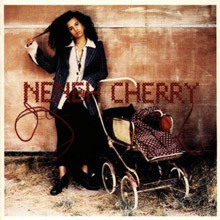 Those arguing that the most individualistic R&amp;B and dance music of the late '80s and early to mid-'90s came out of Britain could point to Neneh Cherry's unconventional Raw Like Sushi as a shining example. An unorthodox and brilliantly daring blend of R&amp;B, rap, pop, and dance music, Sushi enjoyed little exposure on America's conservative urban contemporary radio formats, but was a definite underground hit. Full of personality, the singer/rapper is as thought-provoking as she is witty and humorous when addressing relationships and taking aim at less-than-kosher behavior of males and females alike. Macho homeboys and Casanovas take a pounding on "So Here I Come" and the hit "Buffalo Stance," while women who are shallow, cold-hearted, or materialistic get lambasted on "Phoney Ladies," "Heart," and "Inna City Mamma." Cherry's idealism comes through loud and clear on "The Next Generation," a plea to take responsibility for one's sexual actions and give children the respect and attention they deserve. 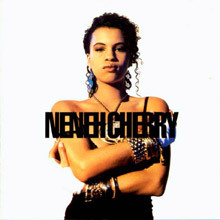 Neneh Cherry, the critically acclaimed singer/songwriter and "rapstress" who burst onto the scene in 1989 with the mega-hit "Buffalo Stance," did not even see the release of her third album, Man, in the United States. This set differs from her previous efforts in that there is absolutely no rap to be found anywhere on the disc, and all of the songs are slow-burning, midtempo alt-rock numbers, as opposed to anything remotely resembling dance or rap (though there are some hip-hop styled beats). There are really no immediate hits on this album, although it includes the international chart-topping duet with Youssou N'Dour, "7 Seconds," as well as several other highlights, including "Woman," "Hornbeam," and "Everything." Also included here is a tribute cover she recorded of Marvin Gaye's "Trouble Man." The album is a high-quality collection of alt-rock womens' anthems, at times bluesy, at times folksy, and much more akin to her previous rock-leaning effort Homebrew than her breakthrough Raw Like Sushi. The songs have an organic, earthy feel, in tune with the Lilith Fair alternative-style musical movement going on at the time. A good deal of alterna-sexual references are found, especially considering some of the song titles (first single "Kootchi" and "Beastiality," to mention two). Neneh Cherry doesn't get into the studio nearly often enough. Three years passed before the British singer/rapper came out with a second album. Thankfully, she more than lived up to the tremendous promise of Raw Like Sushi on the equally magnificent and risk-taking Homebrew. Cherry shows no signs of the dreaded sophomore slump -- everything on the CD is a gem. She triumphs with a seamless and unorthodox blend of hip-hop, R&amp;B, dance music, and pop, and on "Money Love" and "Trout," the presence of R.E.M. 's Michael Stipe brings rock to the eclectic mix. As humorous as Cherry can be, her reflections on relationships and social issues are often quite pointed. While "Money Love" decries the evils of materialism, the moving "I Ain't Gone Under Yet" describes an inner-city woman's determination not to be brought down by the poverty and drugs that surround her. And "Twisted" is about keeping yourself sane in a world gone insane. Unfortunately, Homebrew wasn't the commercial breakthrough Cherry was more than deserving of. 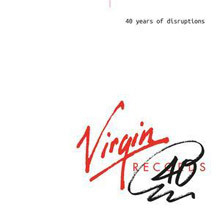 Virgin Records will be marking their 40th anniversary by holding a series of events which celebrate the labels proud history of disruption, with exhibitions and live events to feature alongside book, music and documentary releases. Virgin Records is where it all started for Virgin and 40 years later it's great to see we are still being innovative, commented Richard Branson. "This exciting series of events is the perfect way to celebrate the 40th anniversary of Virgin Records and the artists, from Mike Oldfield to Emeli Sand, who continue to disrupt the status quo." 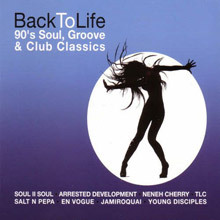 Some of the selections on Back to Life: '90s Soul, Groove & Club Classics, including Joyce Sims' "Come into My Life," Neneh Cherry's "Buffalo Stance," and DNA featuring Suzanne Vega's "Tom's Diner," were released during the late '80s, but that's a minor gripe with the contents of a three-disc compilation that otherwise reflects the title. A European release from Universal, this no-frills set contains many of the decade's biggest hits from the oft-intersecting worlds of club music and R&B. Soul II Soul's "Back to Life," En Vogue's "My Lovin' (You're Never Gonna Get It)," Incognito's version of "Always There," Crystal Waters' "Gypsy Woman (She's Homeless)," Blackstreet's "No Diggity," and Erykah Badu's "On and On" are among the enduring highlights.